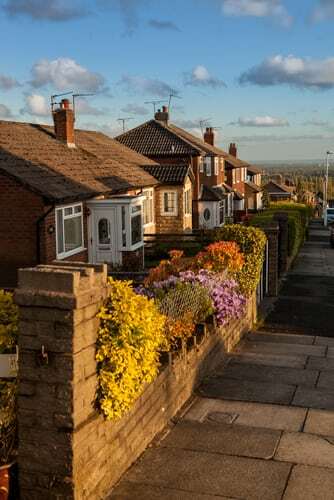 The Manchester Evening News launched their essential guide to house prices across Greater Manchester last month, allowing local house hunters to compare and contrast property sales on streets across the region. The guide revealed that houses in the borough of Trafford were the most expensive, with the average price of a detached house standing at £437,464, around 45% higher than the average for the county. Whilst Trafford’s strong and buoyant housing market is a good sign for the prosperity of the borough, there are issues around affordability for some of the local residents. With house prices around 14.5% higher than the average for England, first time buyers and those on low incomes could be presented with potential problems getting on the housing ladder. Trafford’s Housing Strategy has stated they aim to address the issue by providing more affordable homes and improving the quality of local housing stock. Despite being one of Manchester’s smaller boroughs, Trafford has low levels of employment (2.7%) and a strong economy with an average weekly income of £394, making it the only borough in Greater Manchester to be above the national weekly average. The affluent area is home to localities such as Altrincham, Flixton, Davyhulme, Stretford, Hale and Urmston, amongst others. Local Trafford Conservative Councillor Alex Williams explained the reason behind the strong economy and why Trafford has become one of the most desirable places to live and work in Greater Manchester. “We also have good infrastructure and good transport links – Metrolink goes right through the heart of Trafford. Are you thinking of selling or letting your property in Trafford? Home Estate Agents are the market-leading agent in M41 with 30.4% of the SOLD signs, fully managing over 170 properties throughout Urmston, Stretford, Old Trafford, Eccles & Irlam.